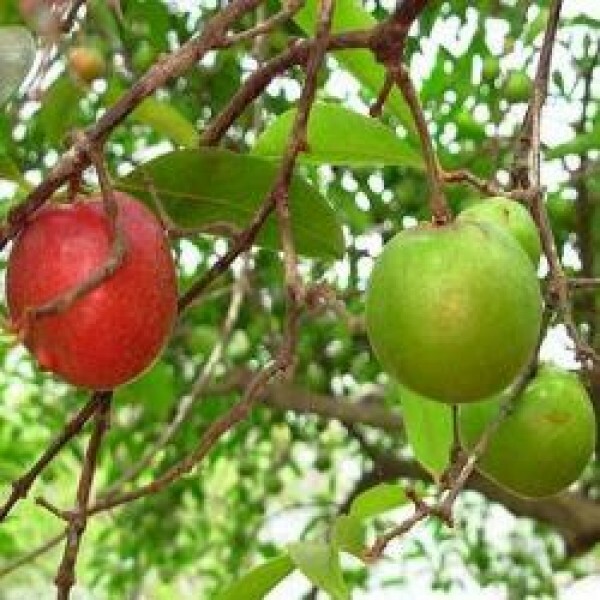 Kokum (Garcinia indica) is a unique medicinal plant whose cultivation is confined to the coastal hilly regions of Maharashtra, Goa, Karnataka and northern Kerala. Kokum is native to the western coastal regions of southern India and is rarely seen beyond this area. Although for generations a crucial culinary and medicinal ingredient for communities along the Western coast, only now are kokum’s myriad health benefits receiving focused scientific attention. In addition to garnishing curries and soups, kokum has been employed for its astringent, cardiotonic, anti-allergic and digestive properties. Kokum is dark purple to black, sticky and with curled edges. The fruit is often halved and dried, so that the dried seeds are visible in their chambers like a citrus fruit. It is usually available as a dried rind, resembling a thick plum skin. When added to food it imparts a pink to purple color and sweet/sour taste. Bouquet: a slightly sweet and sour aroma. Kokum has the same souring qualities as tamarind, especially enhancing coconut-based curries or vegetable dishes like potatoes, okra or lentils. Kokum is especially used with fish curries, three or four skins being enough to season an average dish. It is also included in chutneys and pickles. The skins are not usually chopped but are added whole to the dish. Seasoning should be checked as they are quite salty. Beware of biting on a stone as a few are often left in the skins. As mentioned in the introduction, kokum’s refrigerant properties are well known. It is useful as an infusion, or by direct application, in skin ailments such as rashes caused by allergies. Kokum butter is an emollient helpful in the treatment of burns, scalds and chaffed skin. In addition, kokum seeds yield a unique fat used to make ointments, suppositories, lipsticks and chocolates. The fruits are steeped in sugar syrup to make amrutkokum which is drunk to relieve sunstroke. Kokum is well known to counteract the heat.